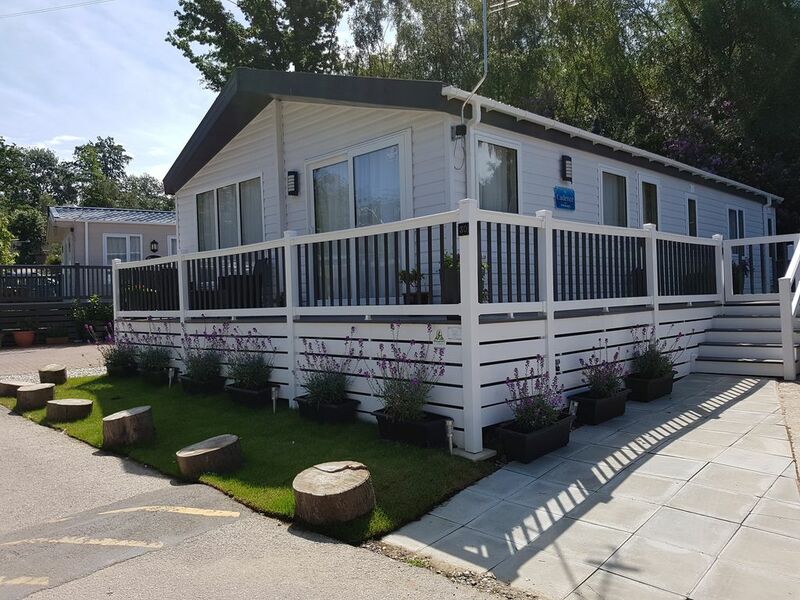 A large fully equiped luxury caravan / lodge set in the woodlands of Beaufort Park. The park is situated 10mins away from Hastings and other attractions. The lodge is designed to make your stay as comfortable and enjoyable offering a wide variety of appliances and luxuries. The lodge has 3 bedrooms which sleeps 6 and then a sofa bed for the additional 2 (additional charge for that). Equiped for children and babies. Coffee machine, fridge freezer dishwasher. This property is absolutely lovely, the owners have literally thought of everything, Very well equipped. It is very spacious, warm and very very clean. The site itself is open all year round including the club house with entertainment. It is a 5 min drive into Hastings town centre. There are a few pubs near by, I would recommend The Harrow for lunch and The Sussex exchange (We spent New Years Eve here, it was amazing). I would definitely recommend staying here, we will defiantly be back very soon. The lodge is large, comfortable, spacious and very well equipped. There is nothing that hasn't been thought of. The attention to detail is great, it's clean and tidy and the lodge manager is great too. I can not fault a thing and am so impressed. We will defiently be back.